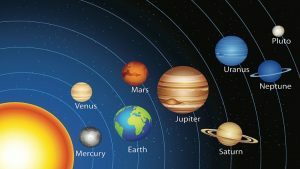 A rare phenomena will occur from 8 January to 7 February when all the planets will take up direct motion, when viewed from the Earth. This event will make the Earth seem like the Sun, where planets are never retrograde (seemingly going backwards). A world meditation for peace, harmony and positivity will be undertaken during this period, for it is a period without major obstructions and blemishes. Any worldwide synchronised meditation on peace and harmony will benefit both all on Earth and those who contribute to the meditation.